Advantage for Extra Large Dogs over 25kg is a once a month topical flea treatment for the control and prevention of fleas. 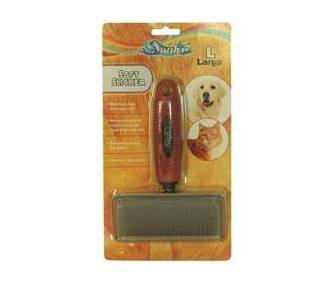 The flea treatment is easy to apply by squeezing the pre-measured satchel out onto the animals skin directly. 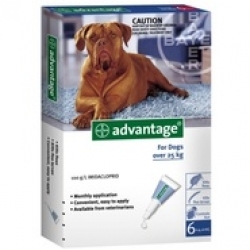 Advantage 6 Pack Blue will protect your dog from nasty fleas for 6 months.